Ventimiglia, though a bustling town by day, has always had a reputation for being a little quiet at night. There are bars open till late along the lungomare but the town centre sees very little activity after dark. This may be about to change. In the last few months, Carrefour have quietly been bringing extended shopping hours to the Italian Riviera. 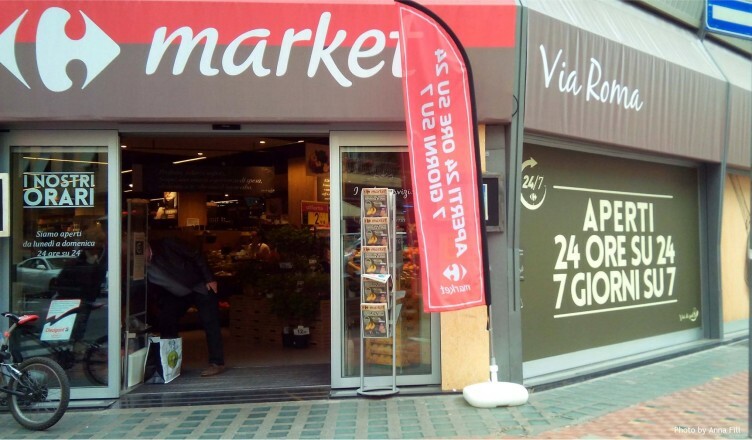 In Arma di Taggia, Sanremo, Bordighera and now Ventimiglia their stores have begun to sport the 24/7 badge, allowing their customers to shop at any time of any day they like. This symbol of Anglo-Saxon commerce has finally made it to the region that many regard as a final bastion of traditional Italian shopping habits. In fact, this change now gives Italians the chance to shop for more hours in a week than are allowed for their counterparts in the UK, owing to the antique British shopping laws that still require shops to close on Sunday afternoons in deference to a religious tradition that now barely exists. In France, lunchtime and Sunday closing are still the general rule, even if things are slowly changing. Rules devised for the protection of workers, both in France and the UK, are gradually making way for the American-inspired freedom of customers to shop when they will. And it seems there are no special requirements in Italy for shops to close on any particular day as long as their workers get at least one day off each week. 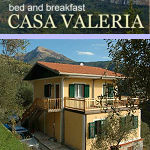 Will this change Ventimiglia? Will the town see a nightly influx of French and Monagasque insomniacs commuting across the border to do their weekly shop? Will the rest of the town centre respond to an increased number of Sunday visitors? Change in Ventimiglia often seems glacial but it’s an undeniable fact that change is happening. Most will agree it’s for the better, that the town is slowly but steadily becoming a more dynamic place. Few of us want it to lose its essential character but many would like to experience that character for a few more hours in the week. Carrefour are pointing the way to one possible future for Ventimiglia.